customer’s property and the environment. 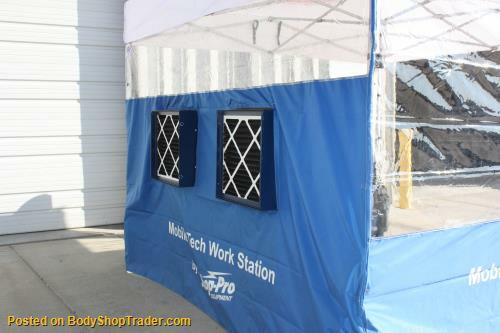 The Mobile Tech Work Station’s multi-stage filtration system has been show to remove 99.78% of paint overspray from the air, and carbon filters remove odors and VOC’s. 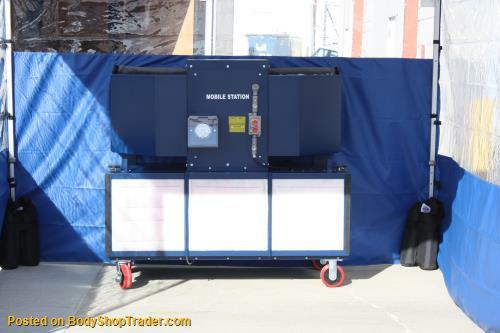 Designed for standard sized 20″ x 20″ filters, it also features adjustable filter racks so the combination of filters used can be customized to the type and level of filtration desired. The versatility of these unique units allows them to be used in many different ways. 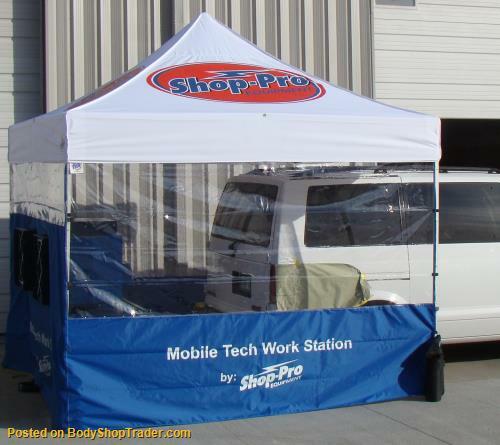 It’s truly the on-site, outdoor, on-the-go portable booth.